Who Really Uses Electronic Symbol and Components? Design Engineers, electrical and electronic technicians and craftsmen all use electronic symbol and components. They use them at one time or the other. The engineer use them as materials for his/her design work. Meanwhile, in time of electrical installation, fabrication, or troubleshooting, all the professionals make use of them. Electronic circuit symbols are symbolic representation of electrical and electronic components in a circuit or schematic diagram. Combination of components in a circuit and how they relate to each other determines how the circuit function. Meanwhile, position of a component symbols be it parallel or series with others determines its function. However, if you know how, you can fashion out a wiring diagram from circuit and vice versa. Printed Circuit Board (PCB) and wiring installation is a product of circuits/schematic diagram. To read a circuit, you begin to trace from the left side of the board. But you need to identify power source and switch from other components and how they interconnect. Reading and translating wiring diagram is a skill in troubleshooting. However, if you can read, understand and interpret a diagram, you can easily identify and isolate problem areas in equipment and appliances. To acquire the skill is not difficult, all you need to do is to identify each component, know all about each component, understand how one component relates to the other. Meanwhile, understand basic parallel connection, series connection and series-parallel circuit theory. 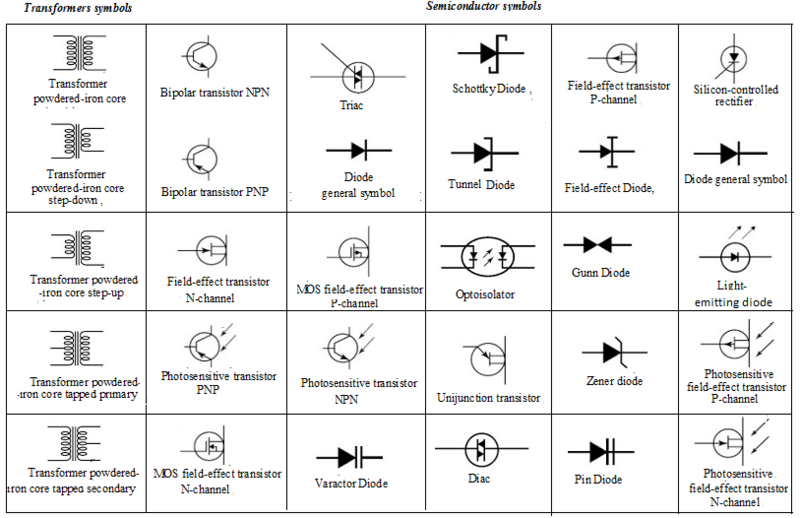 Listed below are examples electrical electronic components symbols. 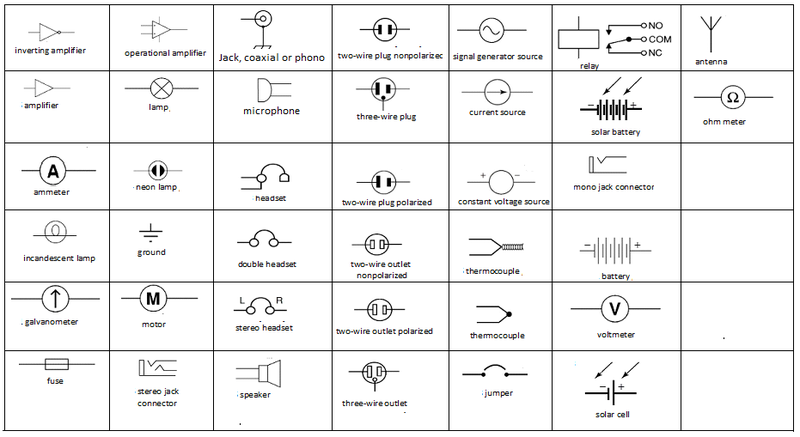 Example electronic components and symbols listed are Transformer, Headphone, diodes, transistor, resistor and lots more. Click on any of the Symbols for expanded view.